Nice mirrors for your apartment! Would you like your interior to be more spacious and bright? 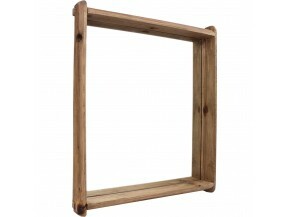 You can put mirrors in your chalet or apartment: they will give an impression of greatness and bring more natural light. It's up to you to play the illusion with recycled wood items in teak that will give a precious and original character to your decoration.